You surely have heard about Sony’s new Xperia P. This phone was announced in the month of February and since then people are excited about it. The reason is the new White magic technology. 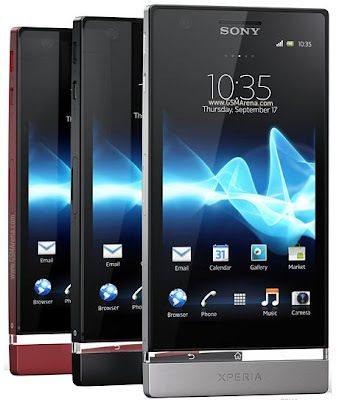 Sony Xperia P is the only phone in the market that has this technology and the good news is that it has been finally released. Sony Xperia P is a big touch screen with multi touch support. It has a thin design and a sleek body. It is irresistible- the White magic technology. Now you will be able to view pictures and videos clearly, even if you are outdoors in the sun. No doubt, this is a great new feature. Sony Xperia P has a high-speed processor and runs the latest version of android. Moreover, the camera result is also great and it also has a secondary camera that you can use for video calls or online video chats. Geo tagging, smile detection, image stabilization, touch focus, sweep panorama, video light, proximity, accelerometer, compass, gyro, adobe flash, radio, GPS, HDMI port, Google Search, Google maps, YouTube, Google Talk, organizer, calendar, document viewer, voice memo, Gmail, SNS integration, Predictive text input.